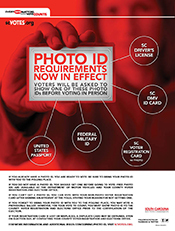 The mission of the State Election Commission is to ensure every eligible citizen has the opportunity to register to vote, participate in fair and impartial elections, and have the assurance that their votes will count. Five members, at least one of whom shall be a member of the majority political party and at least one member of whom shall be a member of the largest minority political party represented in the General Assembly, are appointed by the Governor for four year terms. The State Election Commission holds monthly meetings which the public are invited to attend. Office Hours: Monday-Friday, 8:30 a.m. - 5:00 p.m., excluding state holidays. 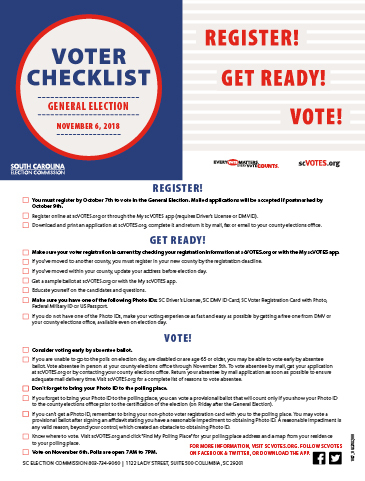 Reminder: Most election questions can be more directly answered by contacting your county voter registration and elections office. 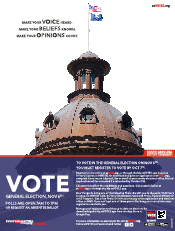 Each year South Carolina holds approximately 300 elections. 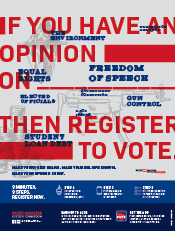 South Carolina was the first state to have a statewide voter registration system. South Carolina was the second state to provide online access to its voter registration database to all county boards of voter registration. Nearly 18,000 poll managers serve throughout South Carolina in a statewide General Election. 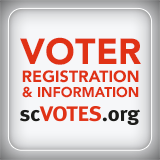 South Carolina was the first state to have its voter registration application on the Internet. Husbands and wives cannot vote together in the same voting booth. Party primary elections, conducted by the county election commissions, are held to determine who will be that party's nominee. Polls open at 7:00 am and remain open until 7:00 pm. 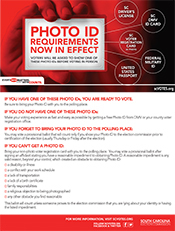 You may obtain the names of your elected officials and polling place by contacting your county voter registration office. A person who does not live within the municipality, but who owns property within the municipality, would not be considered a resident for the purpose of voting in a municipal election. A person who was not qualified to vote in the first election for failure to register 30 days prior to an election is not qualified to vote in that election's subsequent run-off.